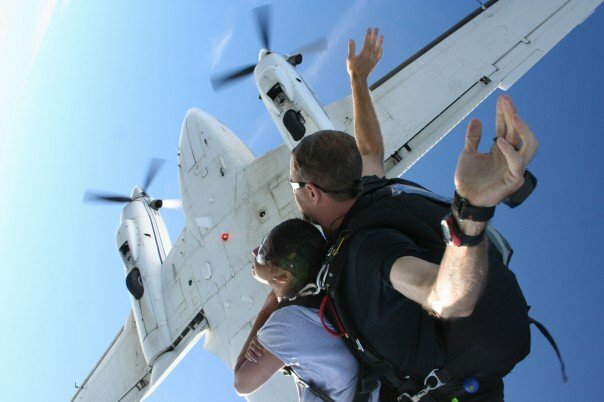 “You ready, we are next” – the only few words I remember hearing from my tandem skydiving instructor seconds before we jumped off a plane 14,000 feet above ground level. For the next few minutes, there was free falling, fear of dying, a few seconds to see the beauty of nature from up above, and the final landing to the ground. That was my memory of tandem skydiving in Atlanta, GA in the fall of 2007. The lifetime memory I created within seven minutes was thrilling and exhilarating and I was able to check off an item in my bucket list that I had wanted to experience forever. Little did I know that once those seven minutes of skydiving were over, there would be the rise of a new spirit that would encourage me to experience new thrills that one could only do without being fearful. Given I was single, independent and did not have much responsibilities at that time, I took the opportunity to explore this newly born spirit of mine. And so the next few years brought about adventures of snorkeling in Puerto Rico, helicopter rides above the Hudson River, skiing in Lake Tahoe, white water rafting in the Potomac, jet skiing in Lake Travis, canoeing at the Alligator Bayou, learning to do yoga, swim, dance and travel to many interesting places. Each of those experiences gave me memories of a lifetime, lasting friendships, and the chance to acquaint myself with my authentic self. It gave me a glimpse of who I really was, what I enjoyed and more importantly what I was capable of achieving without fear holding me back. As the items in my bucket list got checked off, I learned some very important lessons about fear. It became clear that fear was what I made of it, and it could only be overcome if I was ready to face it head-on. Often times, we hold ourselves back from trying new opportunities out of fear that we will fail or not have a good experience. I have encountered many that let fear take over the best of them causing them to not advance their career, move to a new city alone or even go to an event by themselves simply because they do not know anyone. Heck, sometimes people do not even try a new menu item in a restaurant in the fear of not having a good dinner experience. It’s quite interesting but also easy to empathize the reality of fear. Fear is a natural emotion, and human beings are scared to step out of their comfort zones. I had to face fear and have the strength to not run away from it when I had to jump off a plane or go jet skiing in the middle of a lake. Though the option of running away was always there, I would somehow end up convincing myself to give it a shot and see where it would take me. In almost all my adventures, it gave me a reward like no other such as being able to see the colorful underwater fishes while snorkeling in Puerto Rico or the beautiful waters of the Hudson River along the New York skyline. Ofcourse there were moments, I questioned my decision of being in that moment. However, I also realized that if I just stuck around and gave it a try it maybe just ok which it always was. Unbeknownst to me, my experiences somehow helped me learn many important life skills that were crucial for well-being and survival in today’s fast paced environment. It allowed me to be more confident and self-assured, less risk averse and less fearful of failure. Those intrinsic qualities shaped who I became and ultimately helped me make better decisions in both my personal and professional life. In the process, the unknown territories and less traveled waters became less scary and more interesting. I started seeing life through a different lens and realized very quickly that life was a story, and it was up to me to make it a best seller. The only way to create the chapters of this best selling book was by making life interesting, meaningful and rewarding which could only happen if I was willing to take more risks, and be less scared of the unknown. Bushra Rahman lives in Atlanta, GA and works in financial services. She considers herself to be a creative person at heart, and enjoys art, interior decoration and writing. She has wanted to write for a very long time, and was able to finally put pen to paper in 2016 by starting a blog. She aspires to write on stories she encounters in life related to culture, lifestyle, parenting and career.